Approaching its 150th anniversary and energized by a new student life and performance center, New England Conservatory (NEC) was poised to dramatically raise its profile. 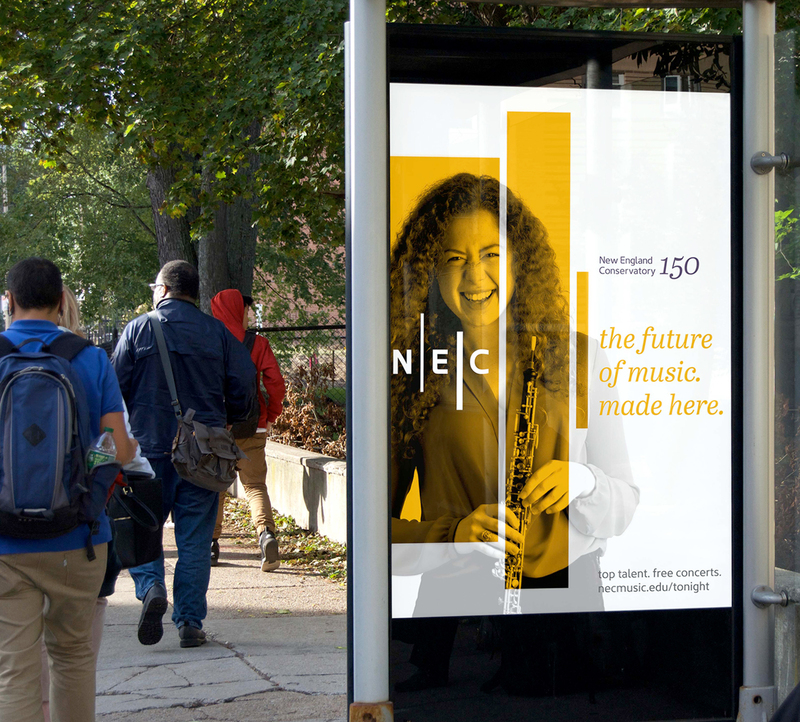 To achieve this goal, NEC hired Minelli, Inc. to develop an overall brand strategy and design and implement a new visual identity that would dramatically increase awareness and position the school as an innovative leader in Boston’s cultural landscape. Through interviews, a survey and time spent on campus, we learned that NEC offers truly unique experiences for students, faculty and audiences. 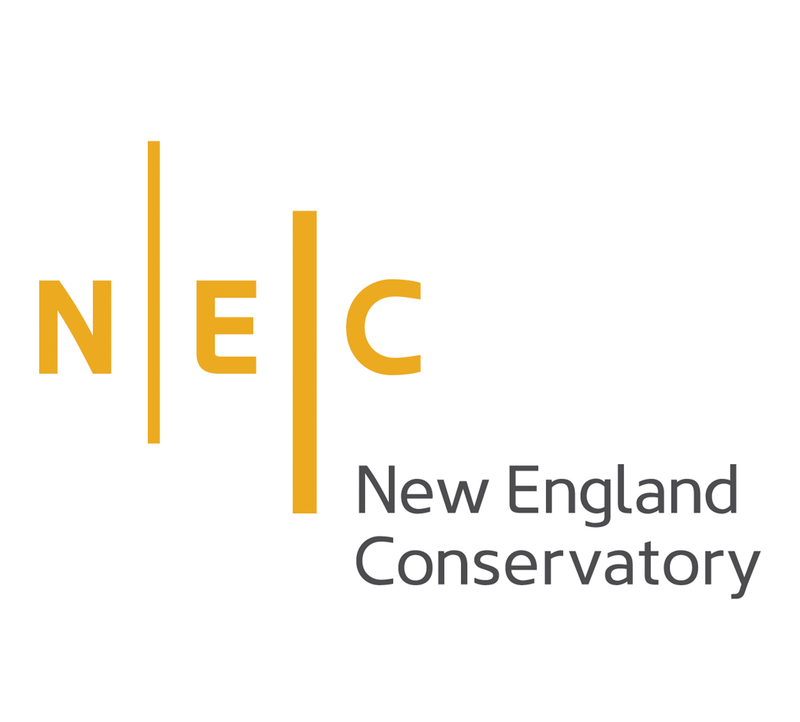 One of the oldest conservatories in the country and one of the first to offer jazz and contemporary improvisation, NEC is well-known in the music world and has deep ties to the Boston Symphony Orchestra. Unfortunately, the school’s unique strengths were not well known to the public. 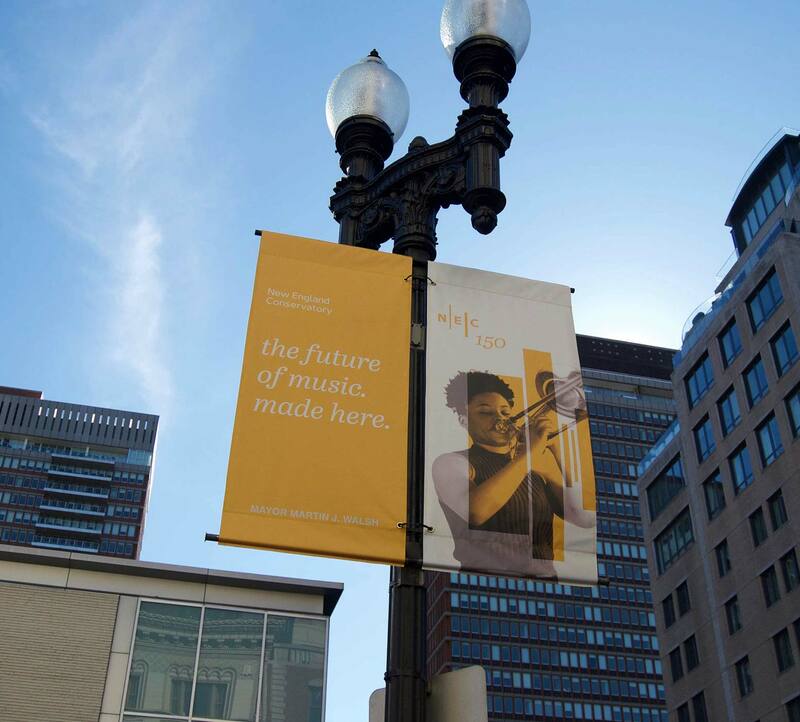 Confusion with other Boston-area music schools and lack of clarity about NEC’s relationship to its world-class performance venue, Jordan Hall, were also widespread. 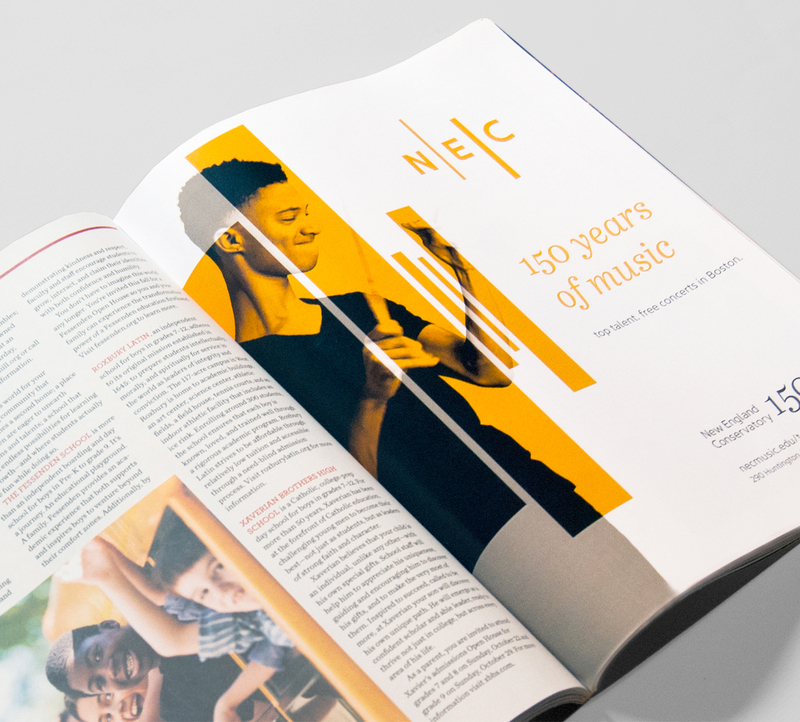 NEC’s focus on excellence, daily music making and performance, and its unique collaborative culture became the core idea – the future of music. made here. Breaking with the music industry’s pervasive use of photography showing musicians playing in concert settings, new black-and-white portraits show students with their instruments. A bold pattern of colored bands, inspired by the patterns of music, are a dominant graphic element. The new logo is built from the patterned bars and a strong sans-serif font. In September 2017, as the anniversary approached and the new building opened, a comprehensive public awareness campaign of Minelli-designed materials was launched throughout Boston on buses, light poles, banners, posters and print advertising.